Manny Pacquiao (17 Dec. 1978 – ) Filipino World Champion boxer. Pacquiao came from a poor background and, at an early age, left home living in the streets around Manilla. He took up boxing at an early age and made rapid progress into becoming a world-class boxer. He has won ten world titles in eight different divisions and is widely considered one of the greatest pound per pound boxers of the decade. In addition to boxing, Pacquiao is an elected representative to the Filipino parliament and is an influential spokesperson on many issues. By 1998, Pacquiao won his first world title – the World Boxing Council Flyweight title against Chatchai Sasakul of Thailand. Following this first world title, he moved up weight divisions and won a total of ten world titles in eight different divisions. As he gained national titles, his fame increased – especially in his native Philippines where his rise to success from humble beginnings made him a great role model for his followers and supporters. In 2003, he was voted Philippines’ Person of the Year. He also featured on the front of Time magazine Asia for their November 16, 2009. He also featured in Time’s 100 most influential people for the year 2009. 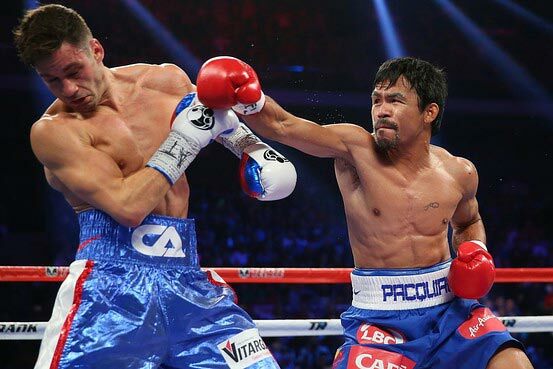 Added to his prowess in the ring, Pacquiao had an engaging style and charisma. 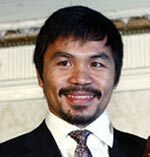 Unlike some of his opponents, Pacquiao is seen frequently smiling and seeming to enjoy life. Even in the boxing ring, his style is frequently admired for his attacking style. Some critics have argued his aggressive style makes him more vulnerable to defeat – compared to say Mayweather who is more measured and defensive. His fights generated substantial media and tv interest. For example, his fight against Oscar De La Hoya in Dec 2008, earned $70 million from pay per view TV rights. Pacquiao only suffered rare defeats; one of the most damaging was getting knocked out by Juan Manuel Marques in Dec. 2012. The fight was at the welterweight division. Pacquiao has stated half of his $80 million fee will go to charity. Tickets were in such demand; they were changing hands for up to $350,000 (£232,000). After a tense encounter, Mayweather was declared the unanimous winner on points. 57 wins, six losses and two draws. Outside of boxing, Pacquiao entered politics in 2007. 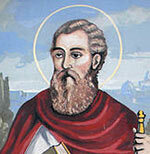 His first election was running for a seat in the House of Representatives, which he lost. He later formed a new political party – The People’s Champ Movement. In May 2010, he won a landslide in standing for a representative of Sarangani province. He has indicated he will run for president in the Philippines once his fighting career comes to an end. Pacquiao has recorded two music albums and has featured in several films. He has also been involved in basketball, running his own basketball team Kia Sorento. He became the shortest ever player in the Philippine Basketball league. He married Maria Geraldine “Jinkee” Jamora on May 10, 2000. They have five children. Citation: Pettinger, Tejvan. 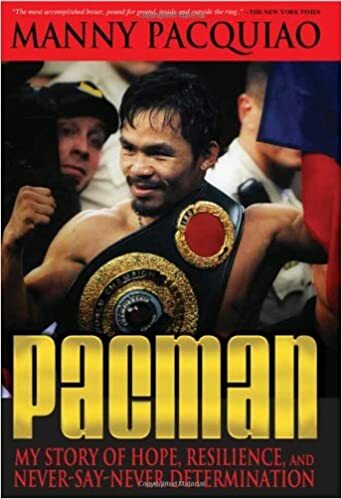 “Manny Pacquiao biography”, Oxford, UK www.biographyonline.net, 30th April 2015. 100 great sports personalities – Famous sportsmen/women. Muhammad Ali, Serena Williams, Pele and Usain Bolt.